Over the years, many famous designers have created pianos for Bösendorfer. Many unique grands have been designed, at no compromise to sound, that would later go down in history as famous examples of instrument design. 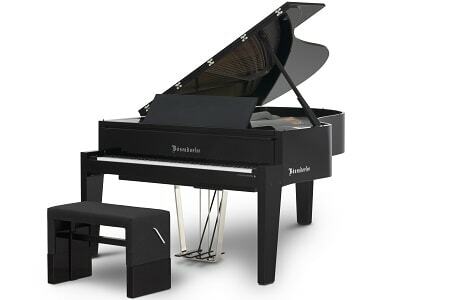 The model Edge was proclaimed the winner of the first international Bösendorfer Piano Design Award in 2006 by Edelweiss Industrial Design. The aim of the Bösendorfer Piano Design Award is to raise awareness of design’s increasingly important role in 21st-century life by recognising extraordinary product design. Additionally, the option of creating your own Bösendorfer grand piano at no compromise to its wonderful qualities of sound is highlighted.